DeathFall HD is a simple game with fun graphics. 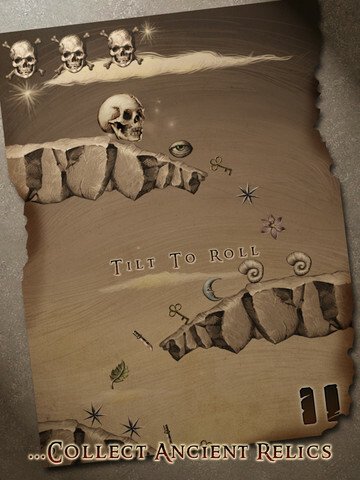 The goal in each level in DeathFall HD is to roll the skull to the bottom of the level while catching as many objects as you can along the way. Obviously you need to avoid obstacles as you are falling, otherwise you die (you get 3 strikes). 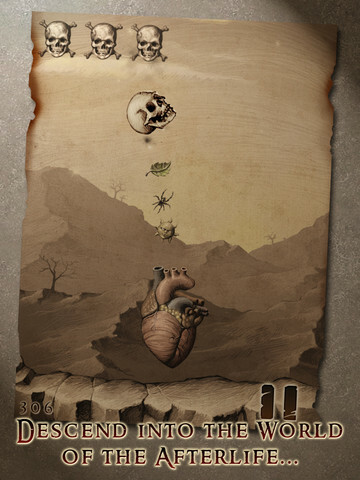 You control the skull as it falls by tilting the device and the more objects you manage to collect with the skull, the more points you get. If you manage to collect a series of items without missing any you get a "perfect" which makes the skull glow and gives you bonus points. Although the game is relatively simple, the look & feel and the sounds are what makes it appealing. 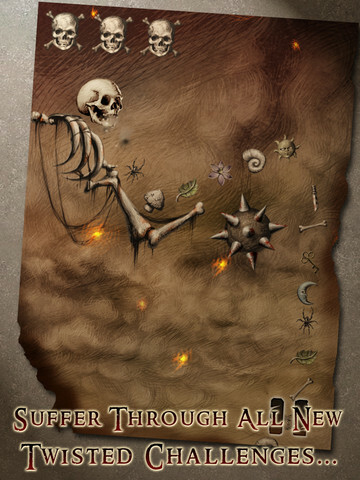 DeathFall HD, which works on both the iPhone and the iPad is free for now to give it a try (the iPhone only version still costs $1.99 so get this one instead, it will work on the iPhone/iPod Touch too).